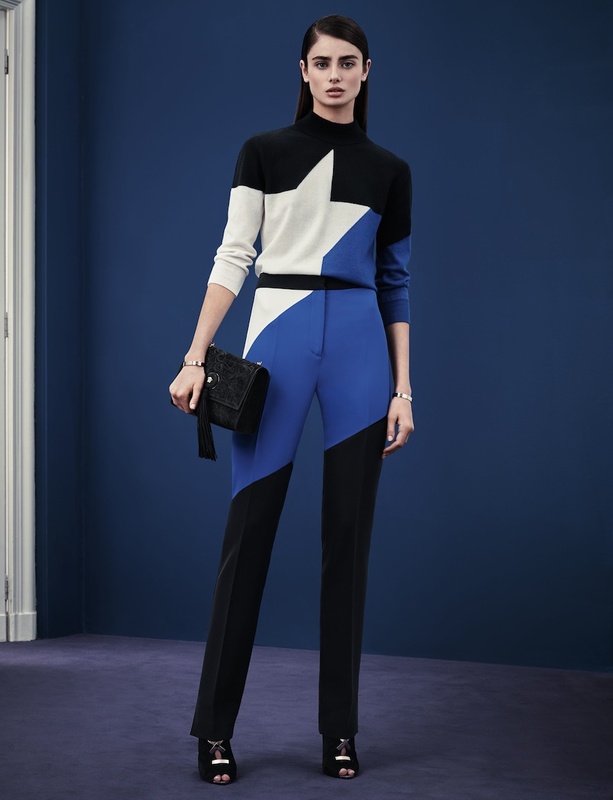 Sharp, graphic, asymmetric, bold –modern in cut, rich in detail. Sleek and simple silhouettes. 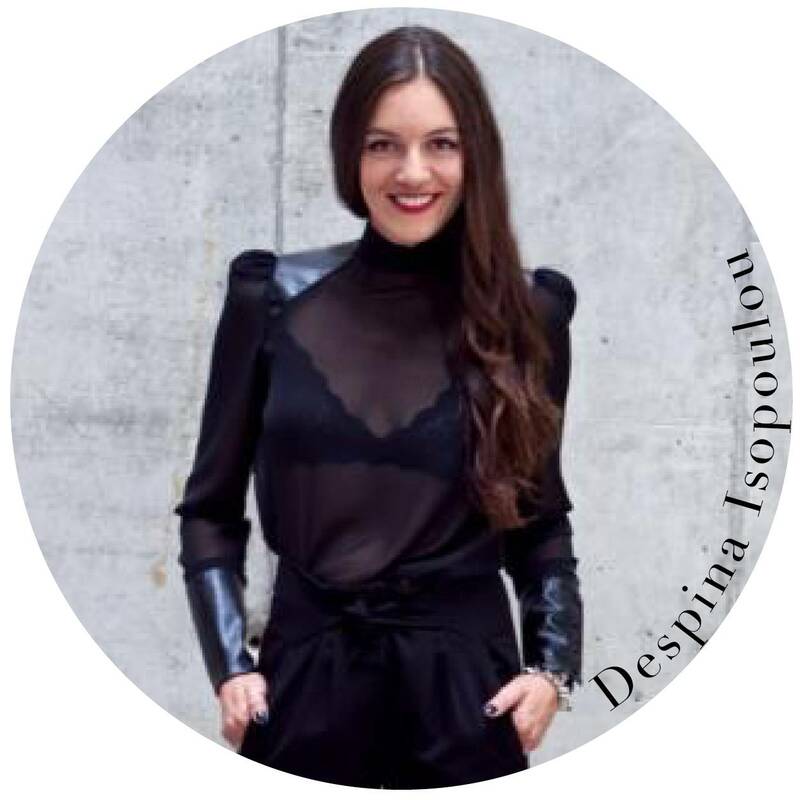 Abstract houndstooth checks cut on the diagonal from different leathers and suede, or mink, Mongolian fur and astrakhan. Sporty knits. Stitches and lean trousers. 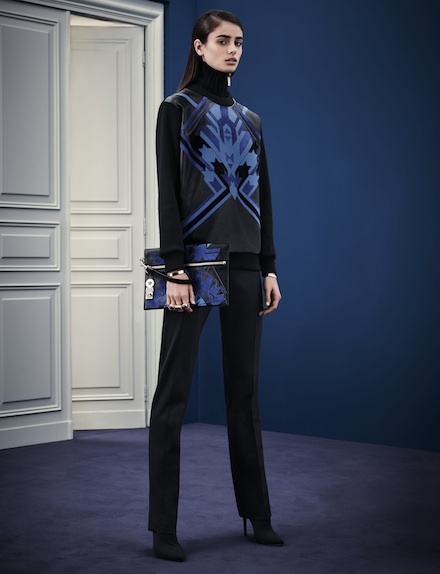 Say hi to Versace Pre-Fall 2015 collection.